In the spirit of Halloween, here is a great prank that was played on a guy named Bryant, who is a member of PETA. This little prank was from the TV show ScareTactics. The premise of the prank is to bring a PETA member (Bryant) to an biological research lab that had recently been abandoned in order to clean it out. While looking around Bryant finds a genetically mutated “Rat Monster” ! 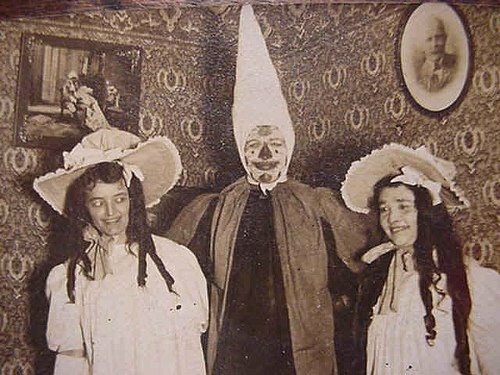 An obsessive-compulsive collector shares his fascination with vintage Halloween photographs, using Flickr to impart these haunting images. Martin, who has amassed a vast collection of vintage images through eBay, said he’s using pictures from 1940 and earlier for the Flickr countdown.